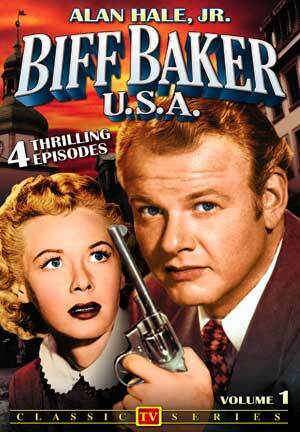 CTVA US Spy - "Biff Baker. U.S.A." (Revue)(1952-53) starring Alan Hale, Jr.
dumped in their laps in the person of an escaped American flyer. Biff and Louise travel to Egypt to investigate the disappearance of a truck. ORIGINAL STORY BY FENTON EARNSHAW. The remaining 5 episodes went straight into syndication. ORIGINAL TELEPLAY BY HOWRAD J. GREEN AND FENTON EARNSHAW.